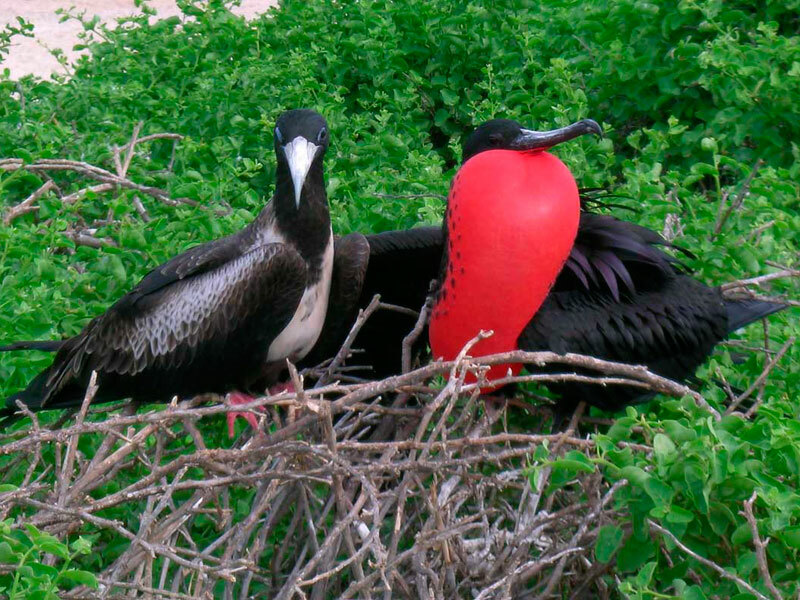 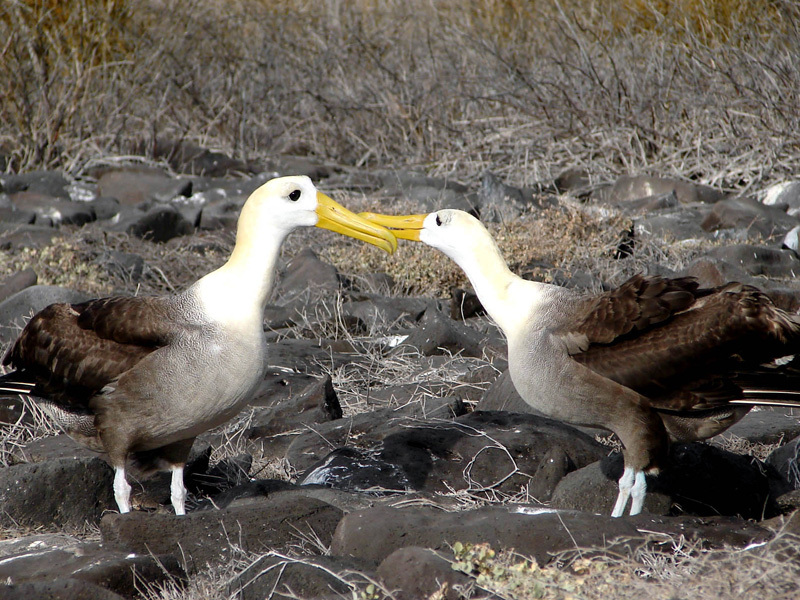 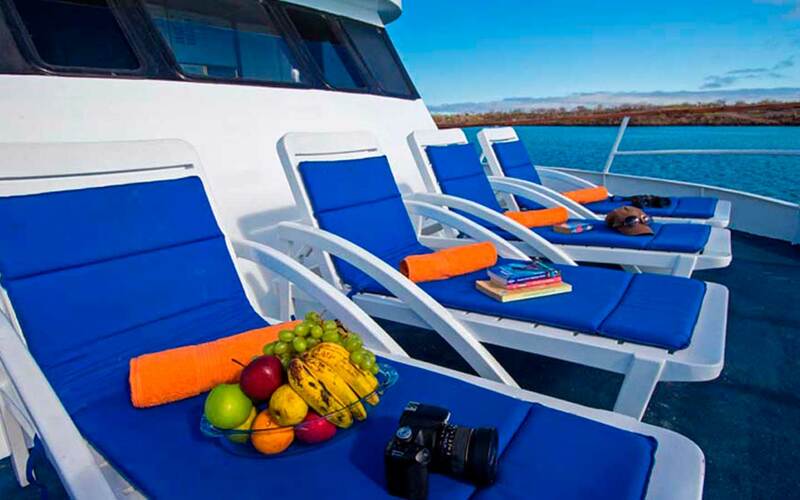 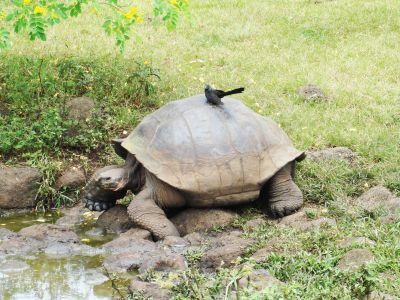 Explore the beautiful landscape of the Galápagos Islands with comfort on board Astrea Yacht. 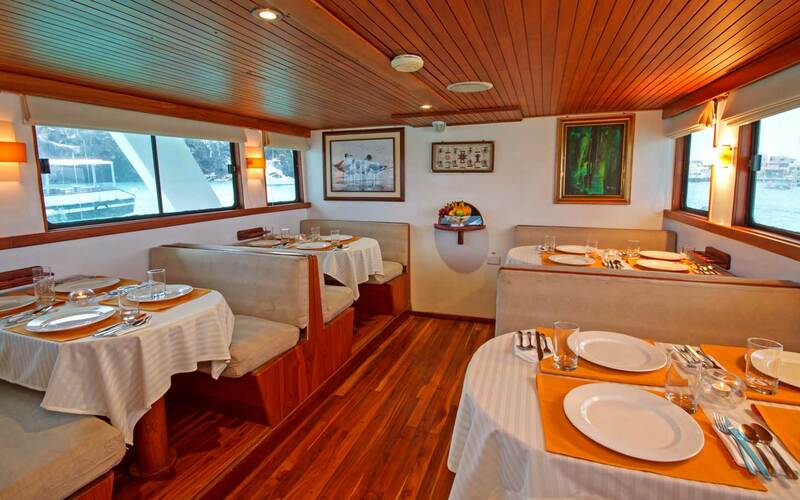 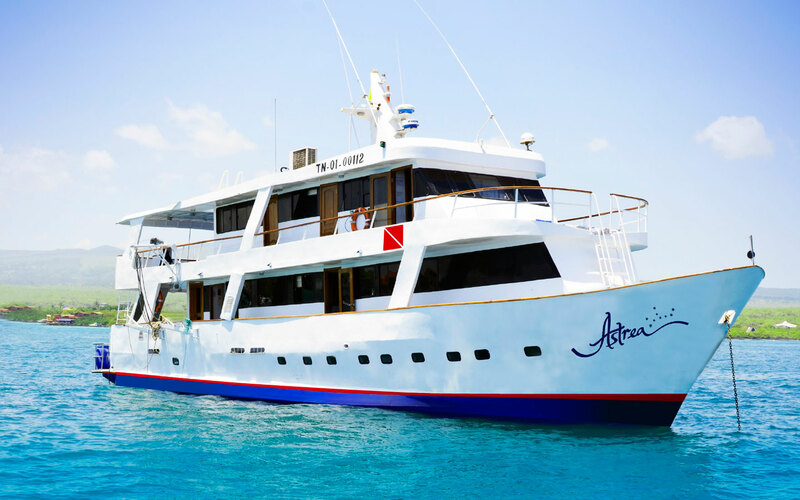 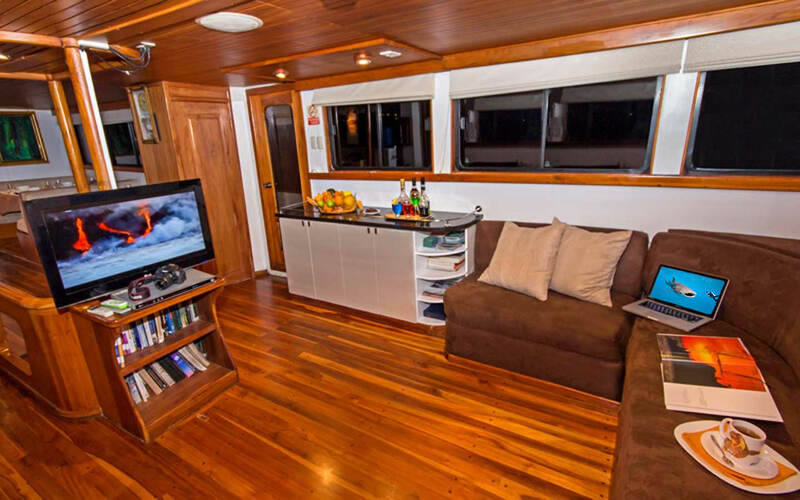 Astrea Yacht accommodates 16 passengers in 8 double cabins, 4 of them located on the main deck with windows, 3 other cabins are located on the lower deck with bunk beds and 1 master cabin with an ocean view. 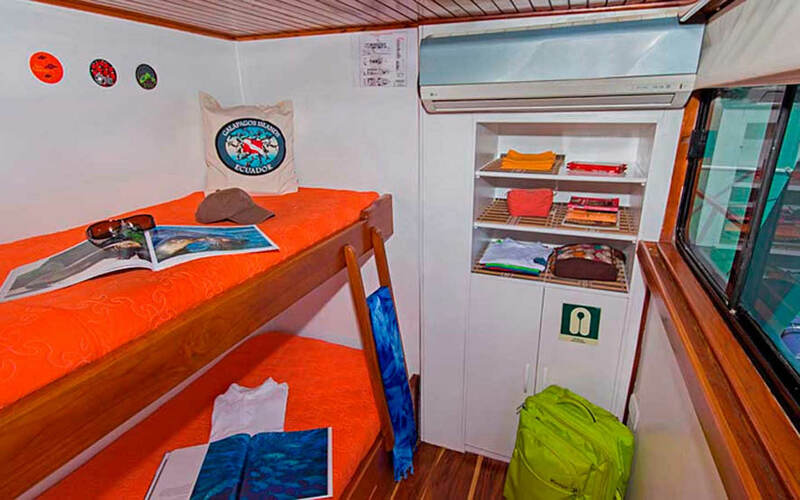 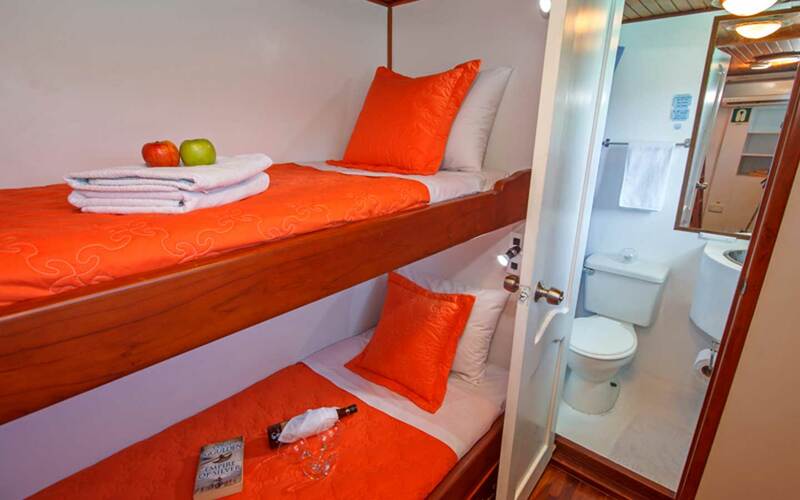 Each cabin has air-conditioning, private bathroom with toilet and hot water shower, hand basin, soap, shampoo and towels. 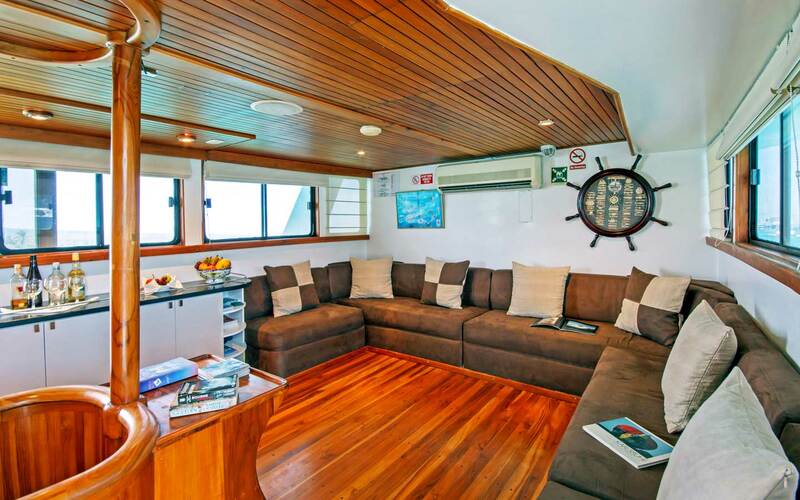 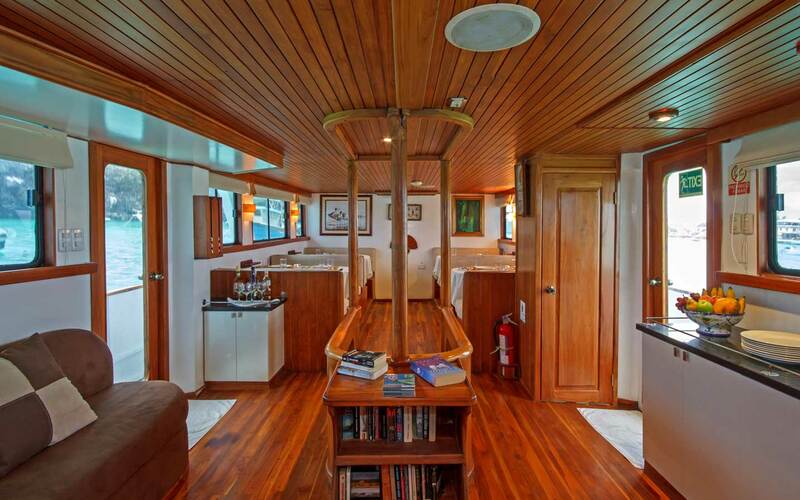 On the main deck features air-conditioned dining room with self-serve bar, air-conditioned salon with TV, video player, music system, computer, movie library, games, books, magazines, small sun deck and shaded area with sun chairs and towels. 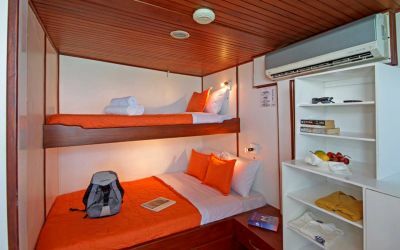 Safety & Navigation: 1 x life raft (25 pax. 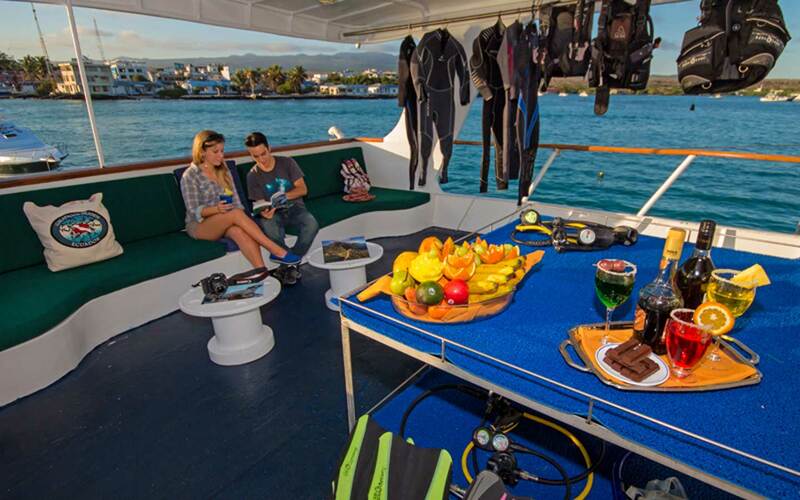 ), 2 x 50 HP Yamaha dinghies, VHF radios, 2 Radars, Depth sounder with alarm, Searchlight and horn, Bilge pump alarm, Satellite & mobile phones, Oxygen, omplete first aid kit , Fire extinguishers throughout, Life jackets in cabins, All the equipment necessary for sailing in accordance with international Coast Guard regulations (Navigation, communication, rescue, first aid).